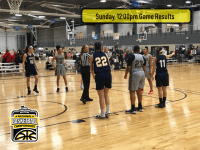 Follow the action on Championship Sunday at the 2018 NIRSA National Basketball Championships at the RPAC on the campus of Ohio State University. 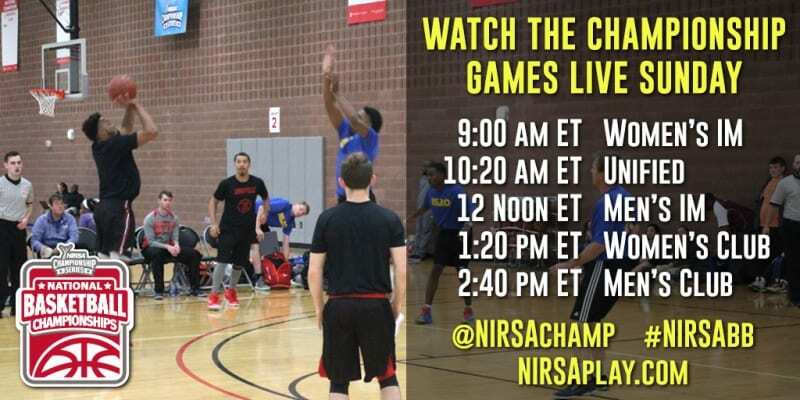 Watch complete game live streams of the championship games online via our NIRSA Championship Series YouTube channel (tinyurl.com/nirsachamplive). 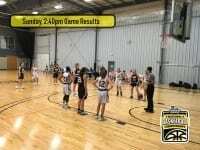 Games will be archived for viewing later as well. 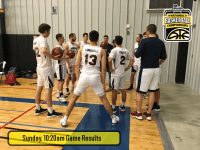 Catch live streams and updates of quarterfinal and semifinal games from throughout the morning on our Twitter feeds @NIRSAChamp and @NIRSAChampLive. 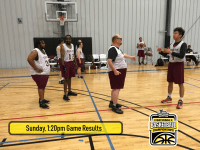 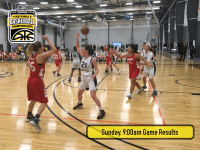 Get championship game recaps and All-Tournament award winners here on nirsaplay.com during the day on Monday.